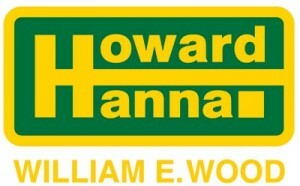 The Choose a Home Team is proud to be affiliated with Howard Hanna William E Wood real estate. Howard Hanna offers flexible programs including the 100% money back guarantee, buy before you sell, Home buyers can Sign up for a FREE HOME BUYER CLASS. Howard Hanna Real Estate Services is ranked the 4th largest real estate company in the United States (REALTrends Magazine, May 2011 based on 2010 transactions) and boasts 170 offices across Pennsylvania, Ohio, Virginia, Michigan, New York, West Virginia, North Carolina and Maryland. We look forward to providing you with quality Howard Hanna real estate services when it is time for you to buy or sell your home. In Virginia We are particularly proud of the number of Military Families we help move in and out of Hampton Roads. We have so many people here stationed at Norfolk Naval Base, Little Creek, Oceana Air base and Fort Story. With a vast variety of beautiful neighborhoods and free things to do in Virginia, Many Veterans fall in love with the area and wind up moving here permanently when they get out of the military.